When Are Asbestos Inspections and Absestos Testing Necessary? Absestos testing and asbestos inspections may be necessary in a variety of situations. For example, you may need to conduct an inspection as part of a Phase II Environmental Site Assessment before purchasing a new property. Or, you might want to get that suspicious old flooring or ceiling tile tested for asbestos before beginning a home renovation project that might disturb the material and potentially contaminate the air in your home. 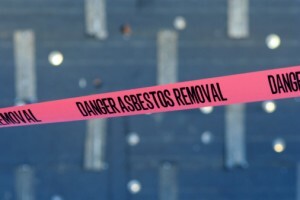 Of course, if the presence of asbestos is confirmed, you will definitely need professional help to deal with it safely. Asbestos is a dangerous carcinogen that is officially classified as a hazardous material. If you try to remove asbestos-containing materials yourself, you risk making mistakes in the process and contaminating the area, potentially exposing yourself or others to highly dangerous asbestos fibers. With asbestos services Anaheim CA from a professional company like H2 Environmental, you can rest assured that the removal process will be handled properly and safely with no liability risks to you.